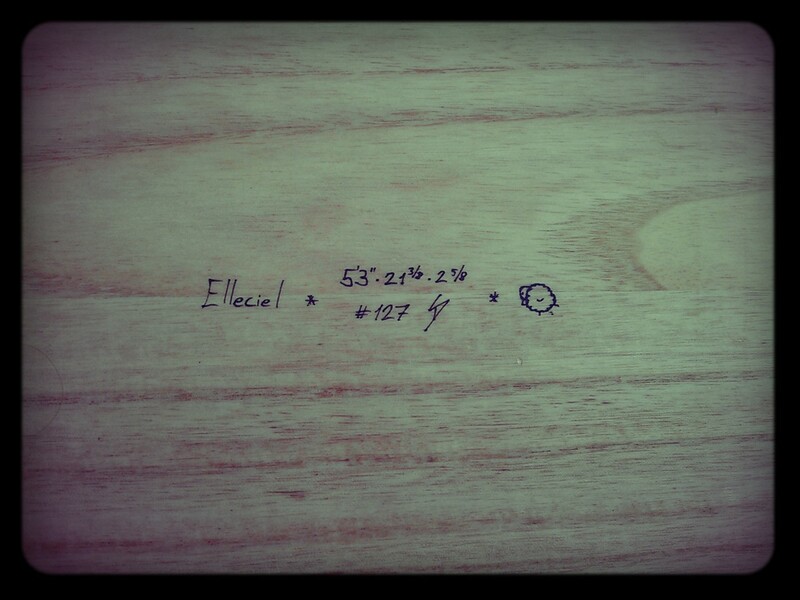 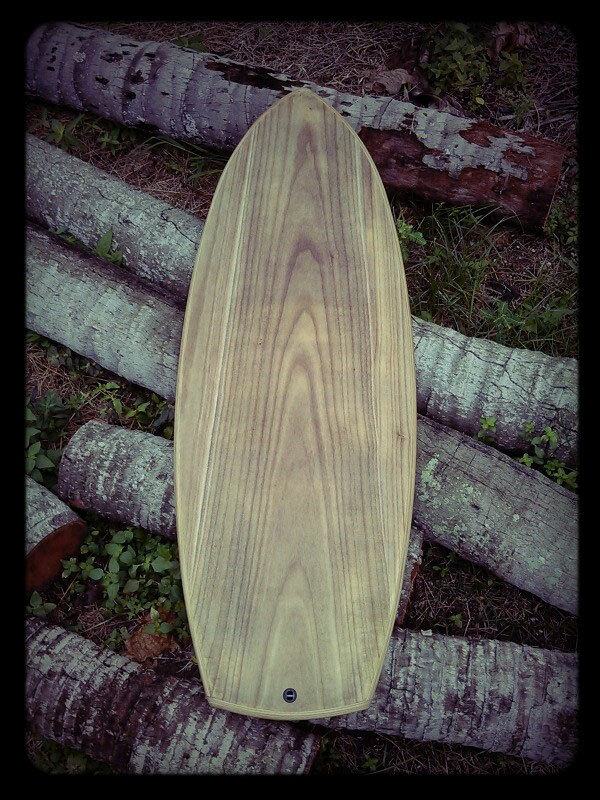 This is a first test with Paulownia wood. The idea came when I first saw the brilliant Grant Newby’s “Green waxless board”. 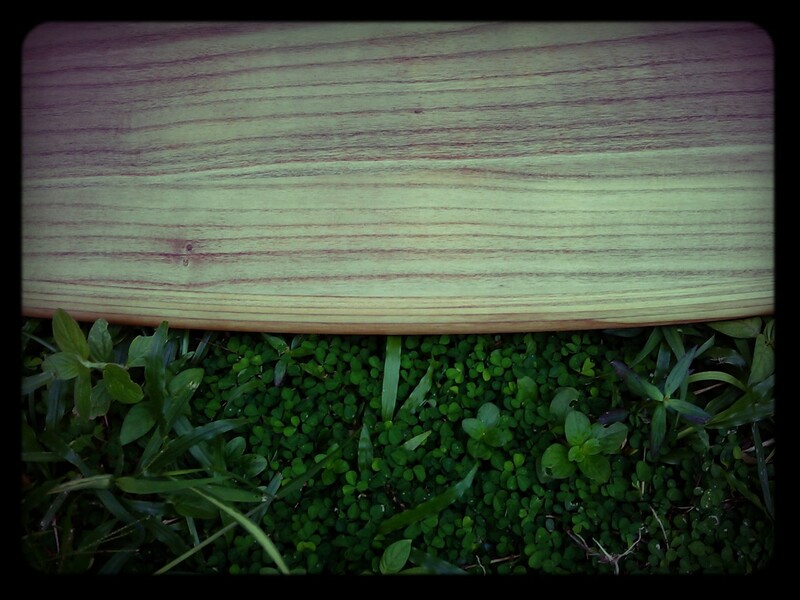 It took me very long to find a Paulownia supplier able to ship less than half a container of wood but here is what I came out with the sample planks they sent me. 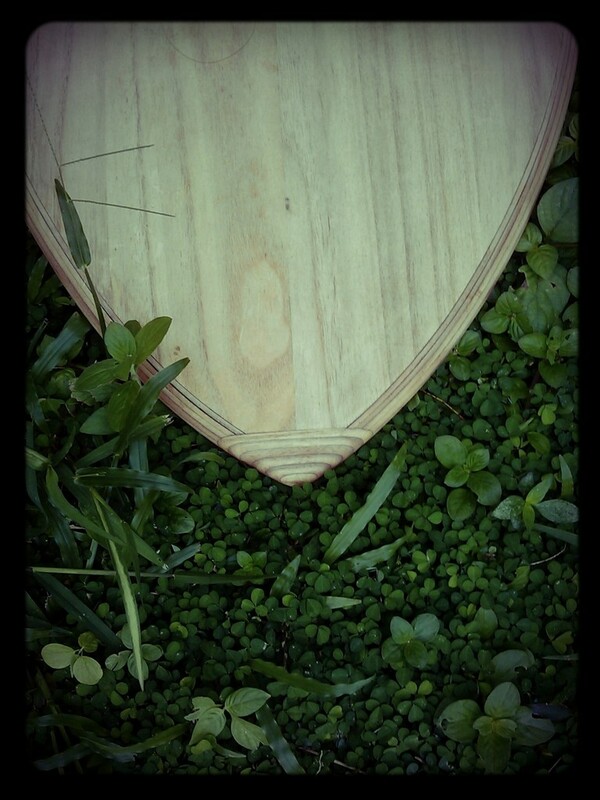 I went half way in between Grant’s and mine for this one but will go much further on his way for the next one. 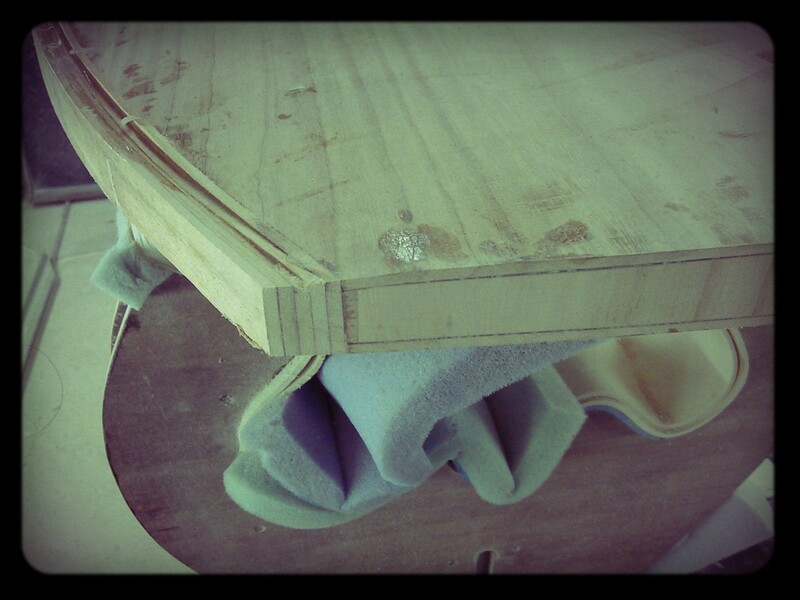 Building process explained bellow. 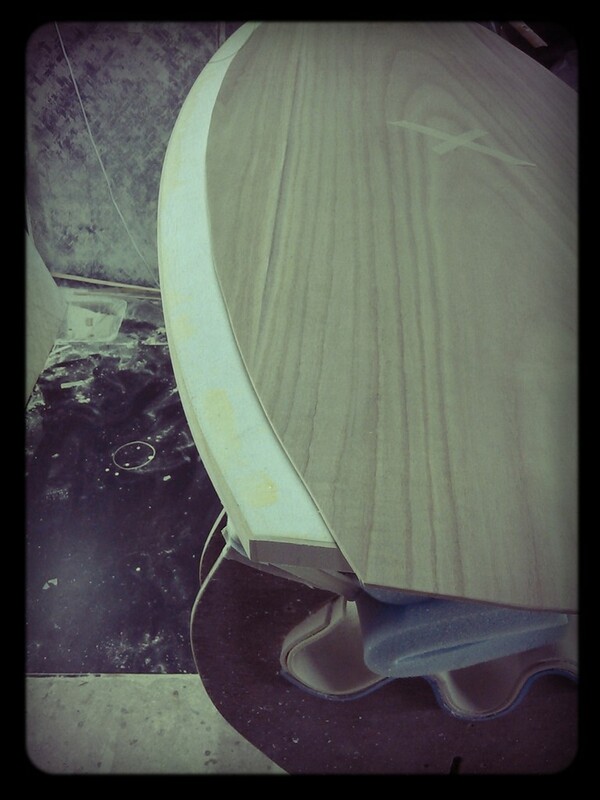 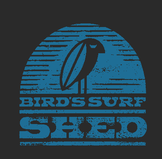 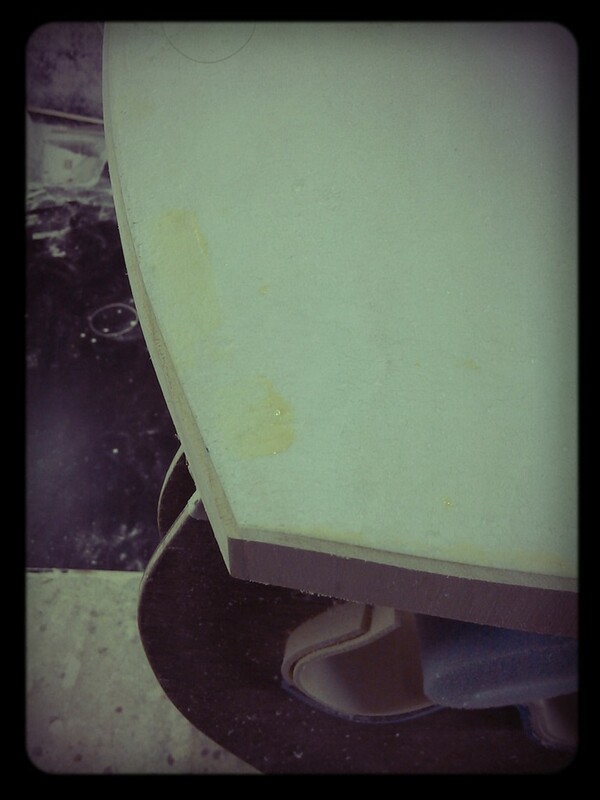 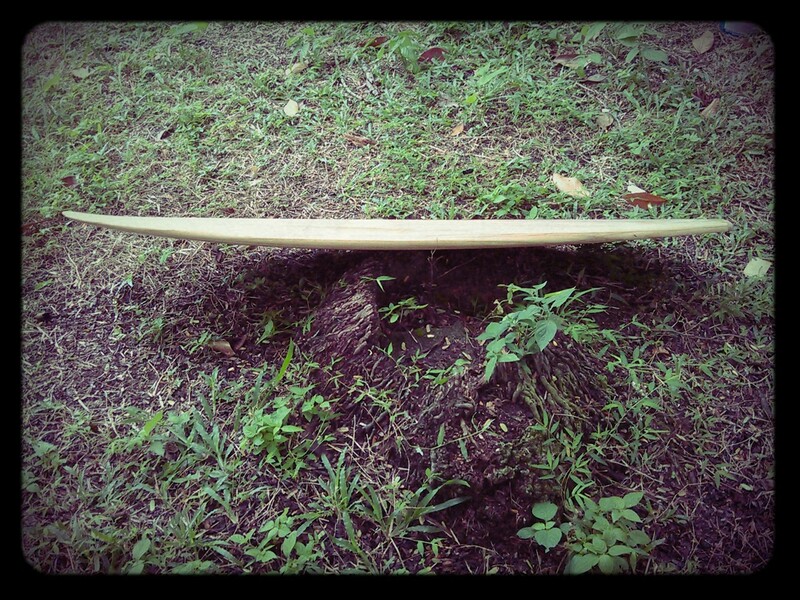 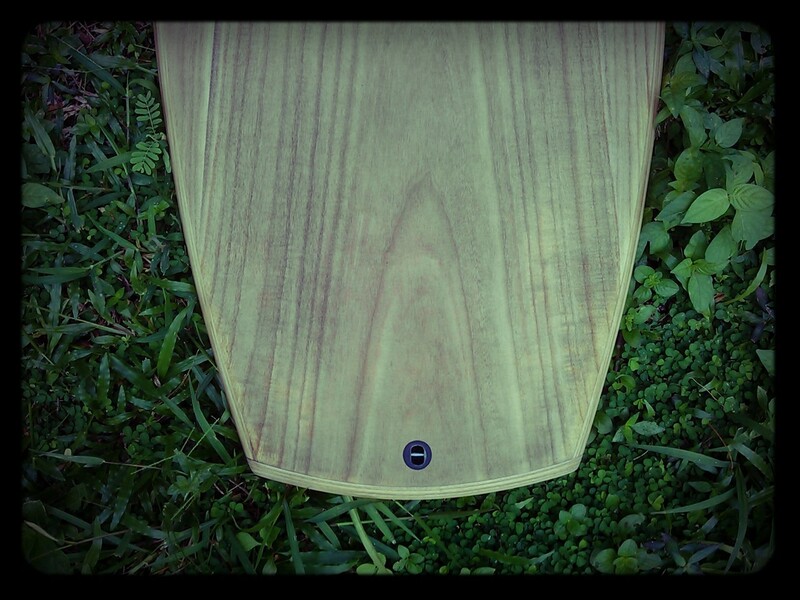 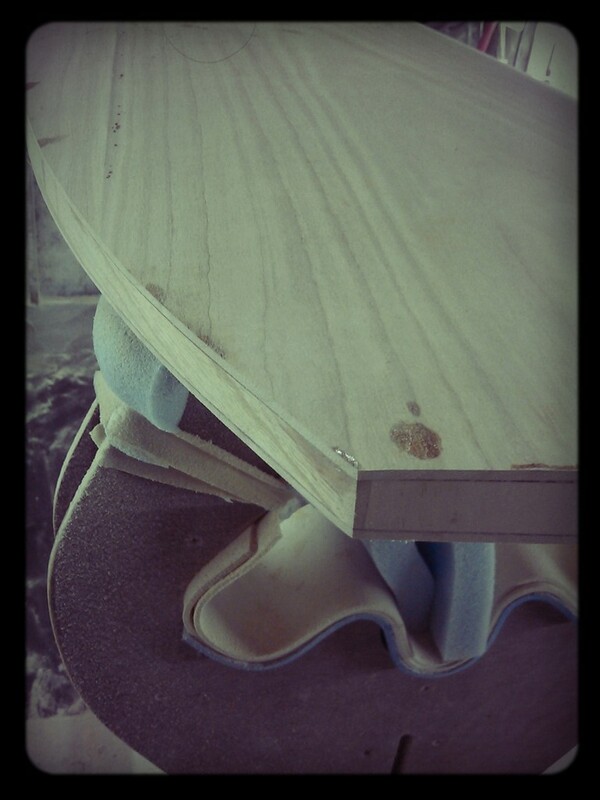 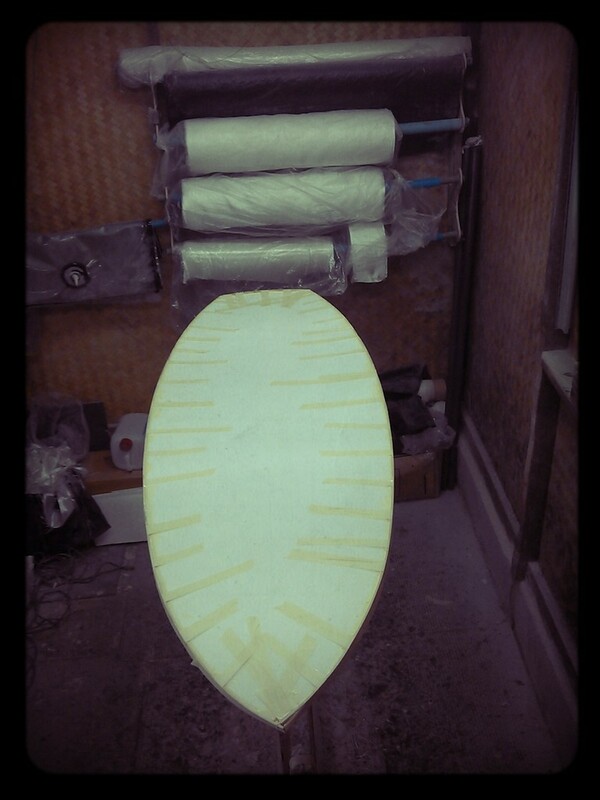 First I shaped the board in EPS foam, thinner, knowing that two 3mm skins will be added and kept rails flat. 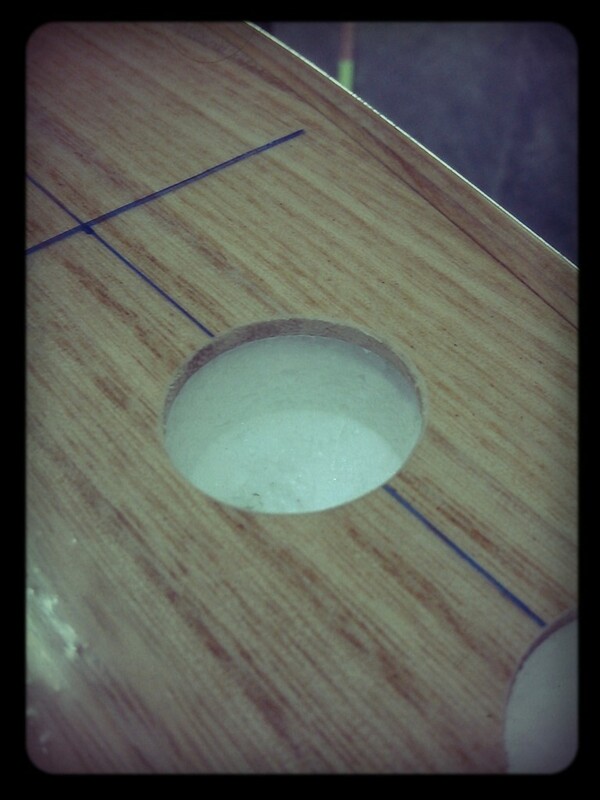 Then 3mm Paulownia have been glued on the perimeter of the board with epoxy, sanded flush to get deck and bottom skins. 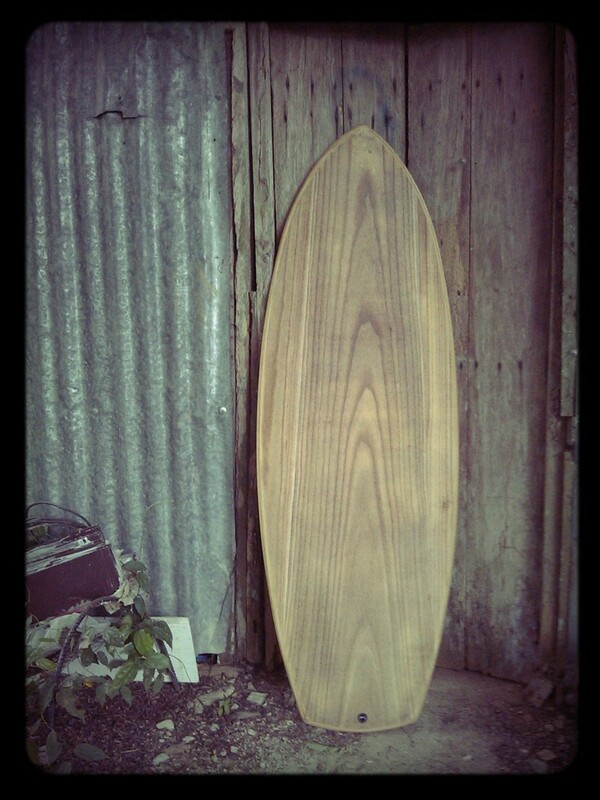 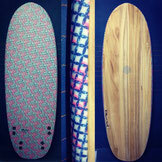 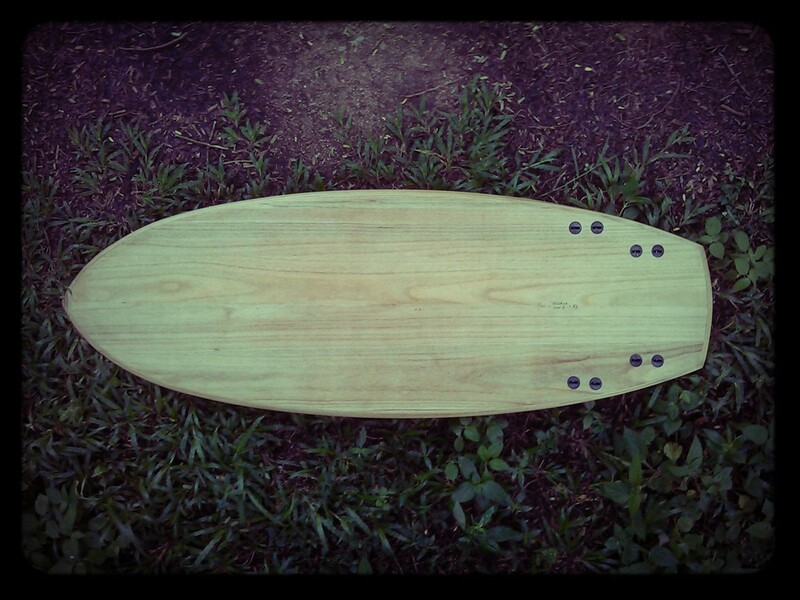 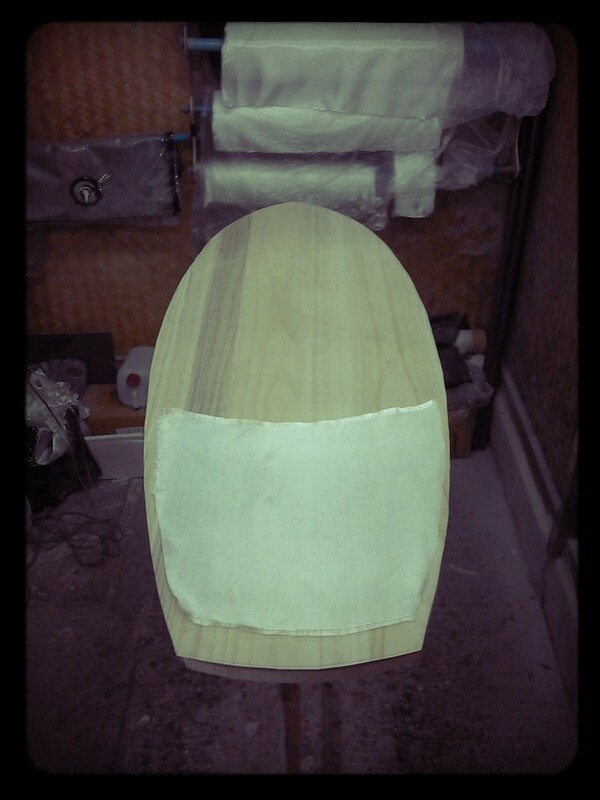 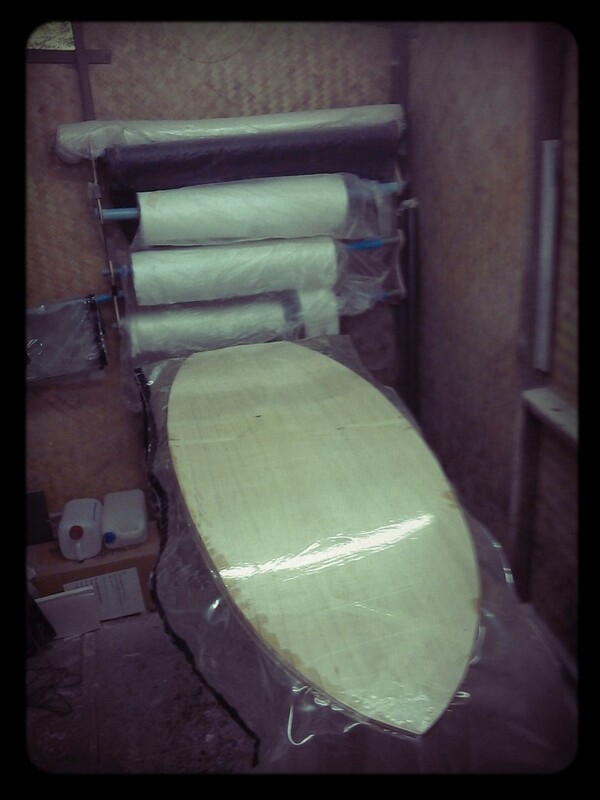 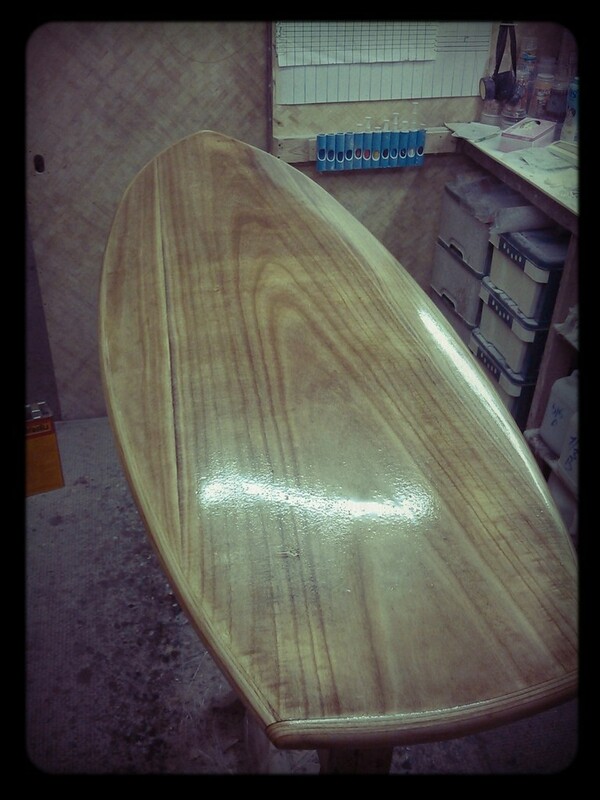 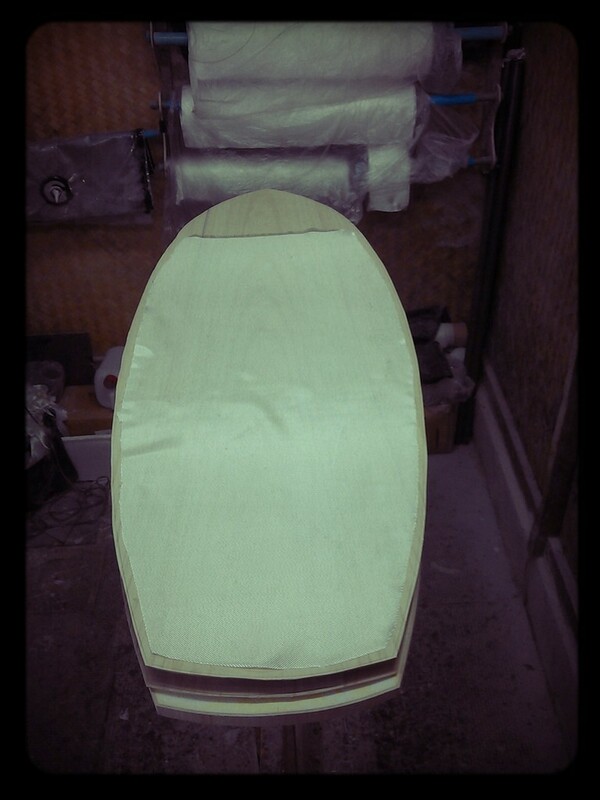 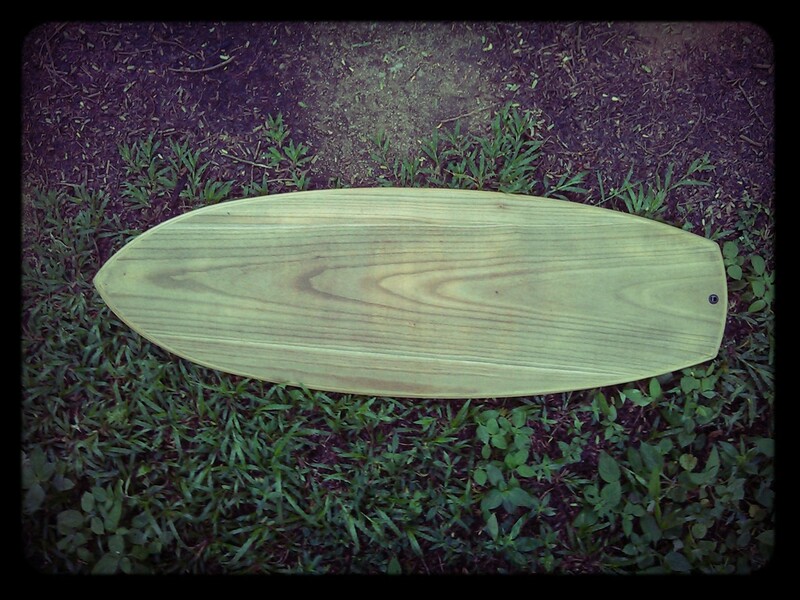 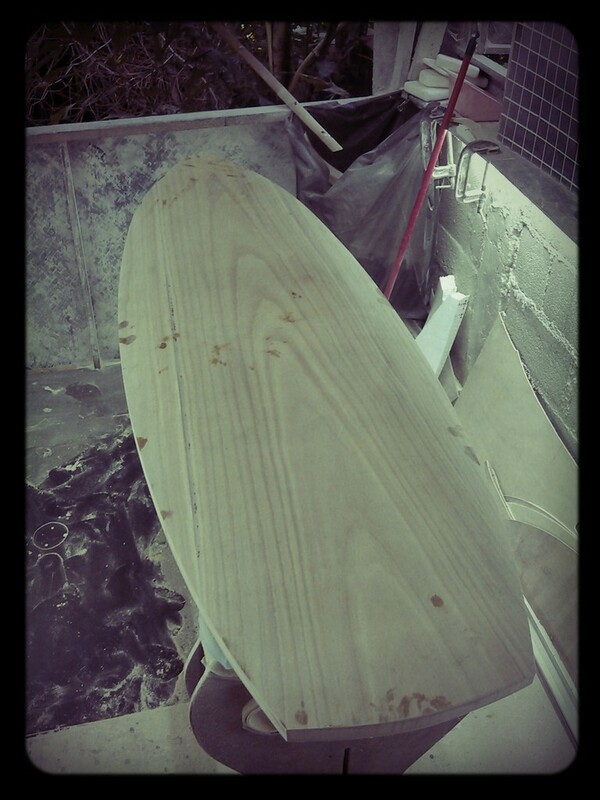 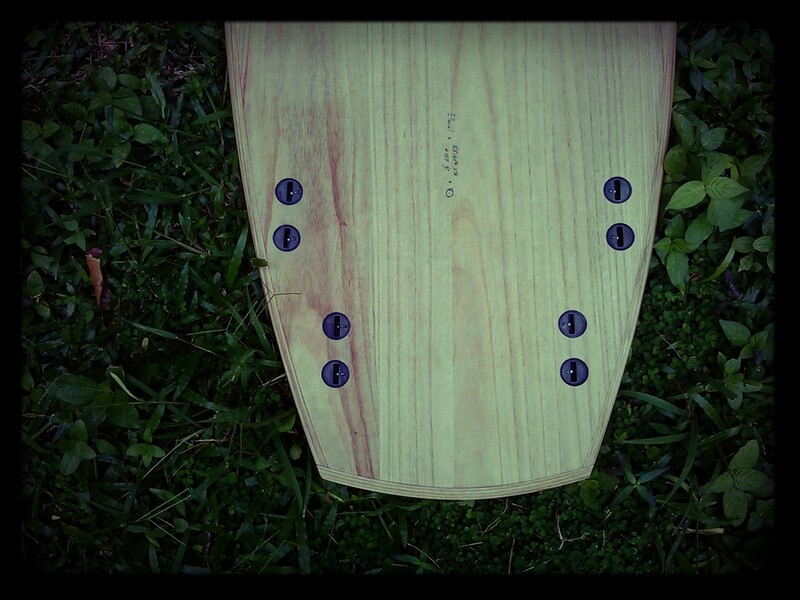 3mm Paulownia with ¾ 200g fiberglass on deck and 200g tail patch on bottom, epoxy and in the vacuum bag. 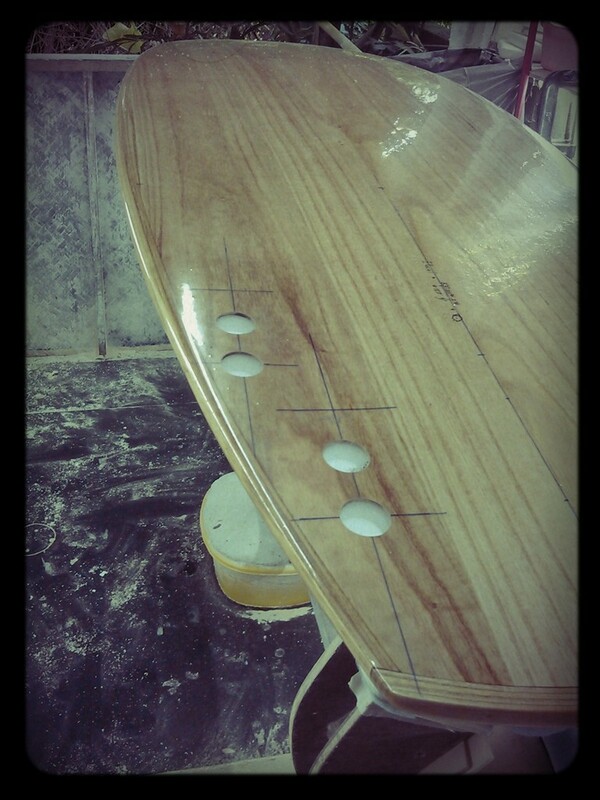 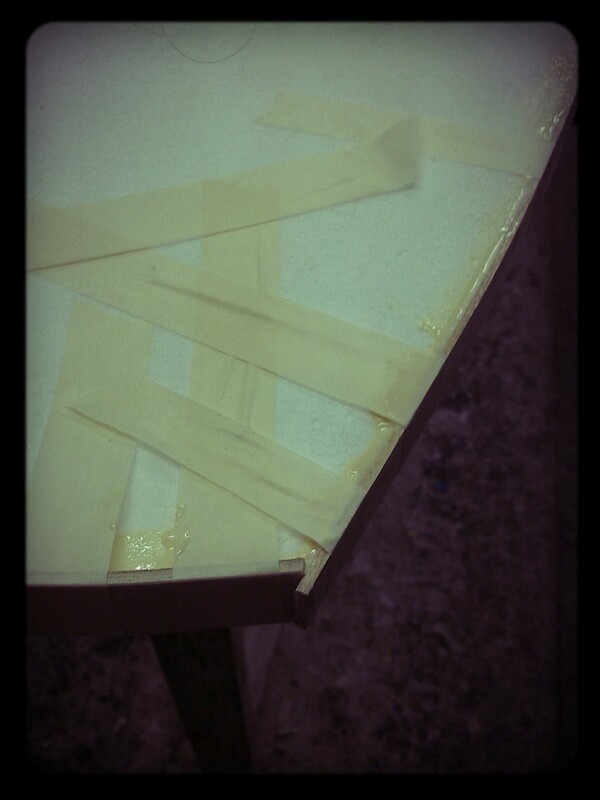 Then skins anded flush on rails and 5 layers of 3mm bands glued to build up what will be rails and tail. 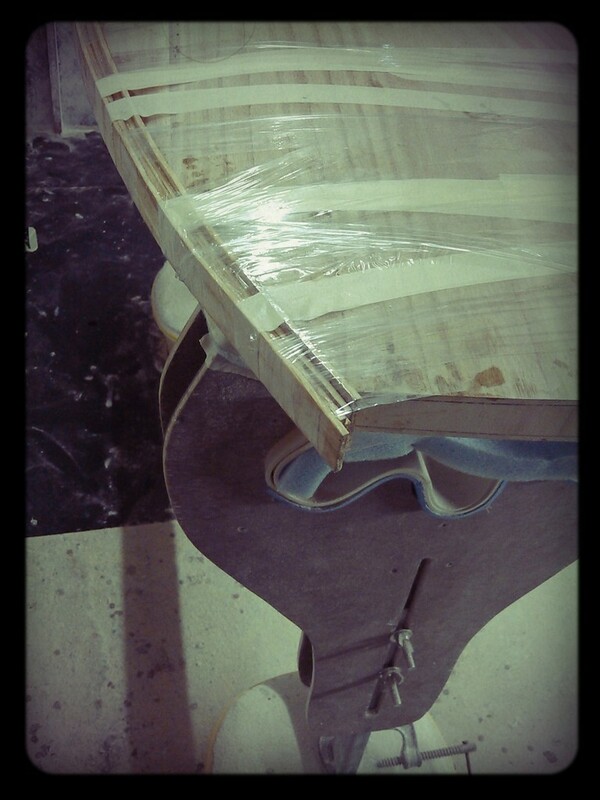 Then rails got shaped, everything sanded and coated with epoxy and thinner before a layer of coating epoxy. 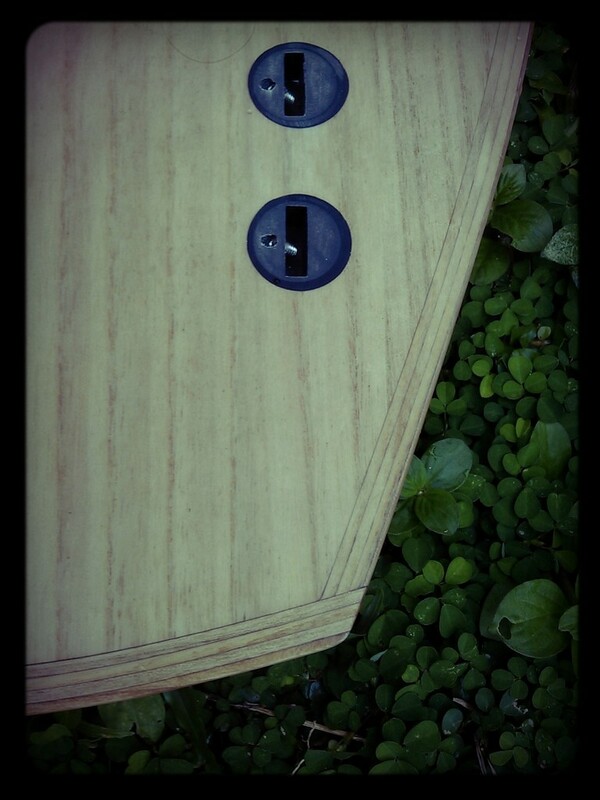 Fin and leash plugs. 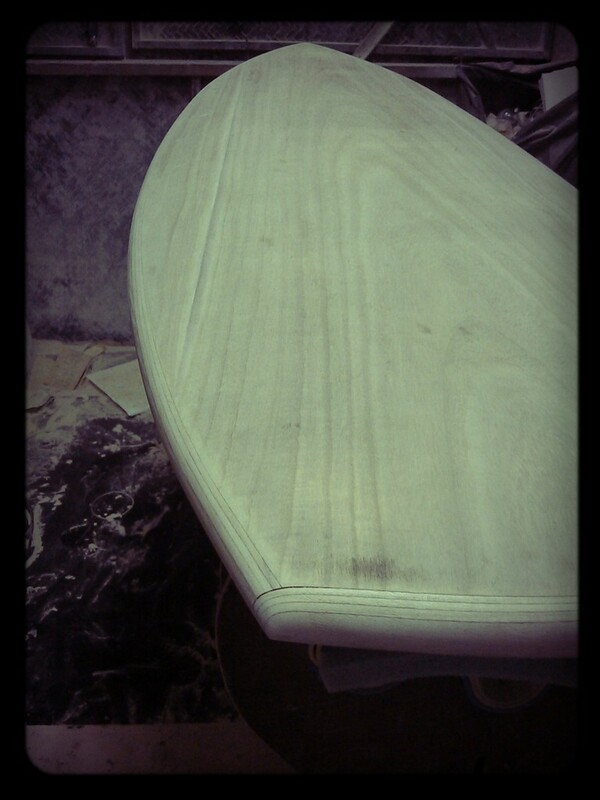 Final sanding. 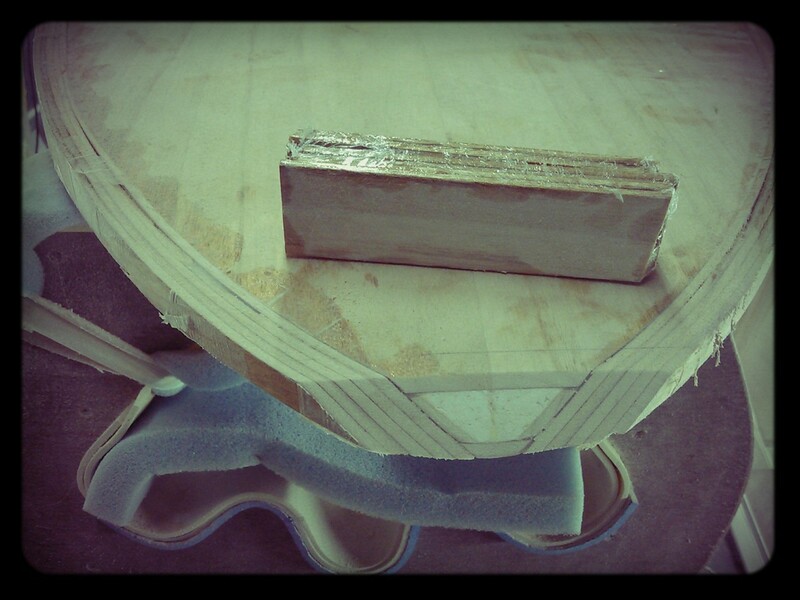 Result a bit heavy but feels strong. 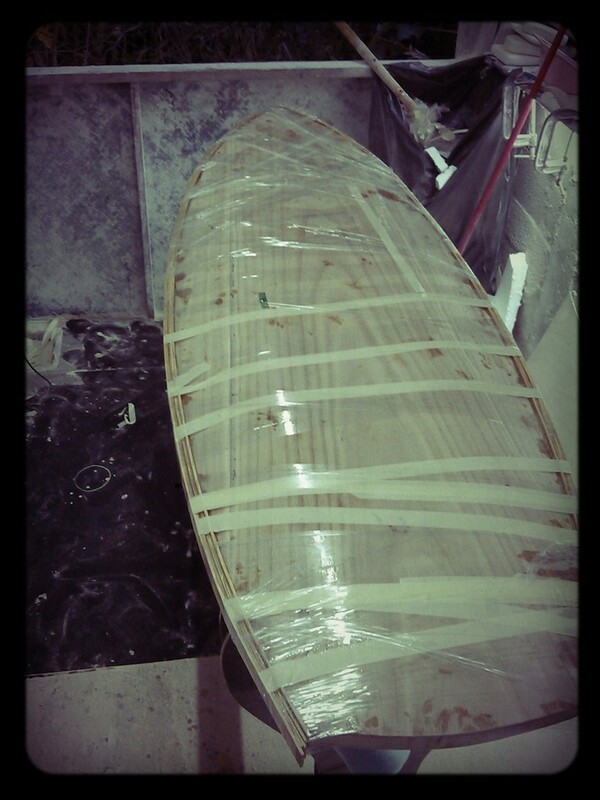 Looking forward to try the “original” way without epoxy, fiberglass and coating!!! 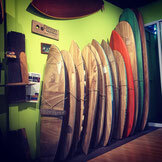 Many thanks to Grant Newby for sharing his ideas and to Helen Guan for the wood samples.